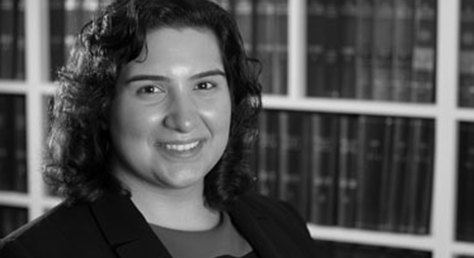 Lucia Johnson, assistant solicitor in the family team analyses this recent adoption case where the Court held it was appropriate in the circumstances to dispense with the requirement of the Local Authority to make enquiries about the child’s biological family. In this case the mother, who was a member of a minority ethnic community had, with one exception, requested that the child be placed for adoption. She signed an advance consent. She was provided with notice of a hearing but failed to attend. The mother had been inconsistent about the paternity of the child so there was a question over whether her fiancé (now her husband by the time of the hearing) was the father of the child. The mother was fearful of the reaction of her family and community were they to discover that she had conceived a child outside of marriage. Care and placement orders were made by the court declaring that the Local Authority was not required to explore the paternity or the paternal family for placement. Established case law already tells us that there is room for exception to the requirement to explore placement with paternal family where it would not be in the child’s best interests. The court held that it is permissible and may be appropriate and justifiable to dispense with the requirement to give consideration to placement with the child’s biological family. It was emphasised that this would be very rare and in very exceptional circumstances. In this case the court felt that it was impossible to see how it could be of any benefit to the child or its family to explore placement within the biological family. It was noted that there was no psychological relationship between the child and the paternal family as they were not aware of the child’s existence. The legal relationship between the father and child was also speculative in the absence of DNA evidence. The court was not willing to go as far as to make an order that the mother should not be given notice of any adoption proceedings relating to the child as that was contrary to s.141 of the Adoption and Children Act 2002 and there was no way of telling how the mother would feel at the time of the adoption proceedings. The Judge also noted that there had been two telephone conversations between the mother and the Guardian, email correspondence between the mother and the local authority and the mother had met with the social worker the day before the hearing so the Judge felt assured that there could be communication with the mother without “imperilling” her. The author finds it curious that it seems that no question seems to have been raised about the mother’s capacity to consent to the care and placement orders, especially as the mother had first signed section 20 consent on the day of the birth. In light of potential issues such as post-natal depression the writer would have more confidence in the outcome of this case if this had been explored during the proceedings with the mother. If you have a child care case you need assistance with, please contact Lucia on l.johnson@wilsonllp.co.uk or, for an appointment, call Mavis on 020 8885 7986.